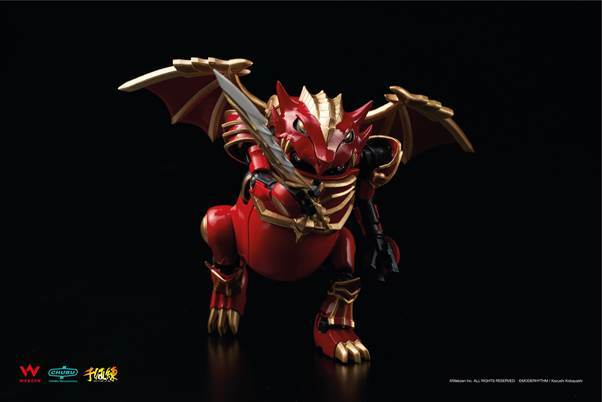 Webzen this week announced a collaboration with Sentinel Co., Ltd. for KnightWeGo, an MU charcter art toy. Sentinel is located in Japan and specializes in toys, figures, and various other goods. Webzen and Sentinel have collaborated to design a new toy called KnightWeGo, combining MU character Dark Knight with Sentinel’s action figure 35MechatroWeGo. It’s odd in a strangely adorable sort of way. Those looking to pick up one of the figures will find it available for pre-order on Amazon and Toys To Art starting February 12 and running for two months. The toy itself is expected to ship in July. MMO Fallout will post a new article once the item is available for pre-order. We do not currently know how much this will sell for.